. banana bread granola bars . - . running with spoons . « . thinking out loud #112 . Well if this is a result of your one-word resolution, then keep it up! I’m a sucker for banana bread. And granola. So banana bread granola bars are an obvious hit with me! Thanks! Mmm! I love banana bread but know how terrible my recipe is. 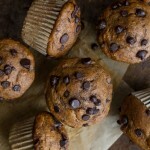 I actually have some ripe bananas that would be perfect for these! I can’t wait to make them 🙂 Still haven’t tried dates, ha. These looks great! 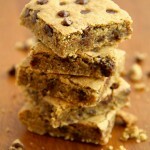 My kids love the “banana bread” Lara bar flavor and I’m sure they’d love these. Great idea for a portable snack. These look awesome! I’ve been craving banana bread lately but I want something easily transportable for work snacks…best of both worlds right here. Love your idea for your motivating word of 2015 – pretty perfect! Thank you for this recipe! So often recipes for bars like this have so many odd ingredients or 5 kinds of nuts that are so expensive. This one is simple and easy. Awesome! Funny story…I hated bananas till I started running. Weird I know..it’s like my body made me like them because I needed them. who knows. Again, thanks for this recipe. I am hanging on to it for later! I wasn’t a big fan of bananas when I was younger either! It wasn’t until somewhere in my 20’s that I really starting loving them. I substituted real maple syrup for the honey to make them maples banana granola bars….. This year, I just set attainable goals for myself. One, for example, was to organize my closets! This one is half-way checked off my list. I just love having concrete things to check-off. Wow this is great! 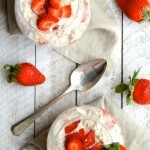 Looks so delicious I will try to make them this weekend. I Thanks for sharing. Oh yum! Love this combo of flavrs and how simple irbid to make. You are the queen!! Good luck with those resolutions! I COMPLETELY understand the feeling of getting overwhelmed easily, and having so many ideas but not sure exactly where to begin etc. Seriously- everything you just posted- totally relate. 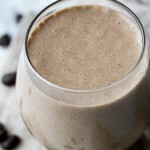 I love this recipe though because it’s so simple, not too many ingredients, and something my kids would totally love as well- thanks for posting! 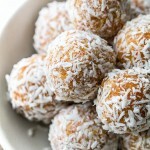 I love any treats with bananas and these look delicious! I think it’s easy to get a little burned out by the end of the year. Recipe testing is not an easy process. Glad you took a little break. Enjoy your weekend and stay warm! I get stuck in my head alot too. I was going to post on my blog today but got stuck in my head last night about what post was best, was the timing right, etc. so instead of posting something, I got nothing. I love your word for the year. What a great idea! And the bars look delicious! You’re definitely not alone on that one, Sarah. I can’t even tell you how many time I’ve just decided not to post because I got way too caught up in the details. Oh I’m so with you about your choice of word- just do! It’s funny how some of the best things are a result of spontaneity rather than overthinking. Heck my recent trip to Dubai was a spur of the minute decision- I’ve never booked a trip so last minute and with such little thought but it ended up being a great call…cheers to many more similar instances :)! I haven’t really set any concrete resolutions this year but I aim to create as much as value as possible this year, be it with my career, health, relationships with other and my life overall! Have a great weekend in the mountains and eat a bar (or 3) for me- they look divine! I would make these if only my bananas would get ripe already! You are the queen of amazing recipes! 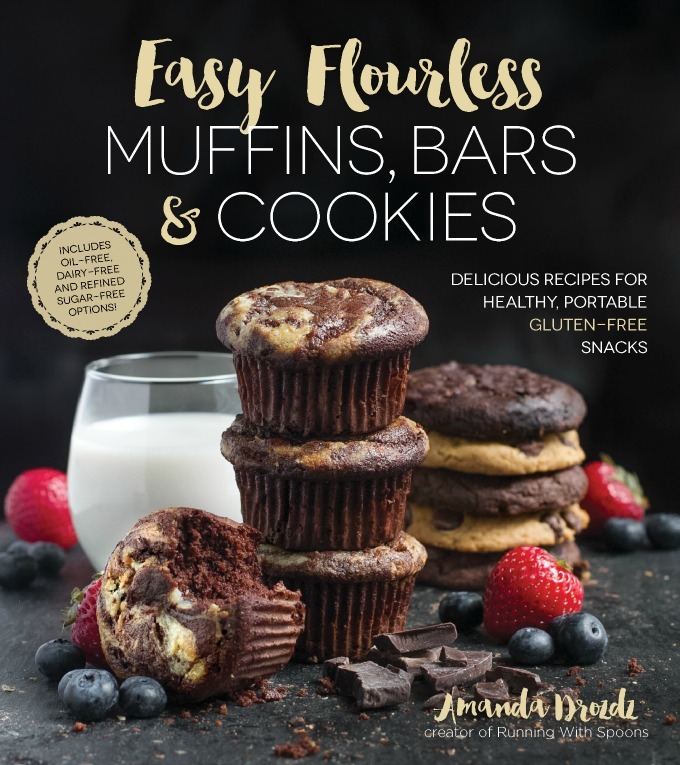 Every time I see a friend of mine pin one of your recipes, I want to all caps comment about how delicious your bars and muffins are 🙂 Please keep doing what you’re doing! I love the one word idea. I’ve never done it before – but I’m doing it this year! My word is opportunity. Kind of the same reasoning as yours… I see some opportunity, but I don’t ever take advantage of it. So my focus this year will be not only to seek more opportunity, but to take it. I love this! “Do” is the perfect resolution!!! And I love this recipe! 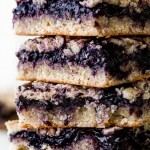 These bars look so good, and for some reason they remind me of rice crispies, and I love those a little too much! 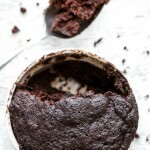 These look so yummy and ridiculously easy, even I can’t mess them up! Okay. Yup. I was *this close* to throwing out a couple of bananas that passed the smoothie stage of ripeness. I may in fact be able to use them to make this recipe!! Love me some banana bread. SO jealous! I can barely even get my bananas to ripen because of how cold it’s been here lately. Is it summer yet?! These sound delicious! I love the banana bread granola from Nature Box, so this will be a great make at home option! Oh my goodness these sound heavenly. In the spirit of being pregnant, I might have to add some chocolate chips. But yummm yum yum. I was actually originally planning on making them with chocolate chips, but decided to go with dates at the last minute. You can -never- go wrong with chocolate, though! No resolutions over heeyah! I actually don’t believe in them as I think they turn the concept of a “fun new year” into a stressful “to-do” list that is more about attaining somewhat unrealistic goals rather than enjoying whatever the new year brings you. Your’s is more acceptable though as it is so open and unspecific. And these granola bars….perfect example to back up my “whatever the new year brings you” point; these bars just happened, and BOOM: culinary goodness! 2015 is your year to be a “Woman of Action.” I like this just DO plan. This year, you should definitely DO a pedicure, DO a trip to Cleveland and DO bring some of these bars. Inspiration is a wonderful thing. Oh no, you can definitely DO a pedicure in Cleveland. In fact, I might know a place. Pedis, Chipotle, a fire, a SITC marathon, a little Oscar. Sounds quite nice right?! I wish I could keep bananas in my house long enough to bake with them. I feel like no matter how many I buy they always disappear! I have ripe bananas but they are all frozen. Do you think if I let it thaw it would work? Cannot wait to try these. Thawed frozen bananas will definitely work, Christine! Just DO is an awesome goal! I’m a lot like you in that I take forever to make some decision when I need to just do it and figure the details out LATER 🙂 Good luck with that goal! And, these bars were a great place to start. They look delicious! YESSSS I made some banana bread granola the other day and it was delicious. But I like granola bars more than granola so I will CERTAINLY give these a whirl. Thanks Amanda ! These are right up my alley! I have SO MANY bananas and will only eat them if they are at least spotted. The browner the better! And who cares if you haven’t posted a recipe in a couple weeks? Better something delicious than something fake thrown together to please readers. Wow, YES to all of this. “Do” is actually exactly what I need for this year too. I was thinking about it the other day too. I feel like I’ve fallen into that “dreaming but not doing” hole recently, but I’ve decided that I just need to spend less time thinking and more time making things happen. Of course, prudence is still essential, but that’s different from mulling over little details for EVER. And the granola bars look absolutely delicious!!! You can most certainly share my word 🙂 Here’s to an action-filled 2015! Um…awkward but there’s no AB in this. WHO ARE YOU? Oh, girl — to-do lists are the loves of my LIFE. I honestly don’t think I’d be able to function without them. I can really identify with you on the doing thing. I have the same problem. I have so many ideas that I can’t seem to settle on one and figure out how to do everything, so I often end up doing nothing. So glad to hear I’m not the only one! Though I realize I haven’t actually acknowledged it, my resolution is also to just focus, and do. These look incredible and I love how easy they are to throw together. 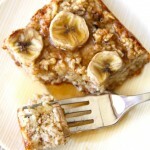 Bananas and honey are such a perfect combination with oats! 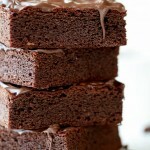 I’ll be making these – stat! Amanda I can SO relate to this! I’ve always had a major overthinking problem. I think I’ve gotten better about it in recent years, but a few years ago it was almost paralyzing. Like I would analyze a decision so much that I would just give up and not make a decision at all. So I would miss out on social outings and travel opportunities just because I couldn’t make a decision. Ugh, it was so frustrating for me! I don’t know what changed, but now I’m getting better at just forcing myself to make a decision. I eat a granola bar almost every day and I am always looking for new healthy at home recipes. 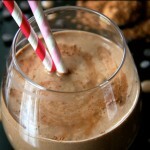 This one looks really good, I am going to have to try it! DIY granola bars are the best, and I love your creative, comforting flavors. I’m definitely going to try these, and all your others (especially pumpkin), soon! about how many bananas did it take to get one cup? Thanks much. These are really good. I love them in the mid afternoon. I’ve started cruising the old fruit shelf at the market looking for really ripe bananas so I don’t have to wait for them to ripen. Is there nutrition information about each recipe on the page somewhere that I’m missing? Hi Joel! I don’t calculate the nutritional info for my recipes — I just try to focus on using whole ingredients. These bars were featured on another site, though, and they calculated them to come out to: 130 calories, 2g fat, 27g carbs, and 3g protein. 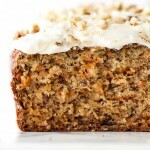 Can I use chia seeds to substitute ground flax? Or any other ground flax substitute you can suggest may work? They sound yummy! My son won’t eat anything that has peanut butter in it so these sound right up his alley. I was hoping to make these for an after school snack and wanted to know how I can add some whey protein powder (about 2-3 large scoops) to make them stave off the hunger a little longer. What additional ingredients would I have to add to keep the right consistency? Any suggestions would be much appreciated as these sound so yummy! Love your site! I forgot to ask, what variety of dates do you use? I normally use Medjool dates, Carly, but any type of date should work just fine. How long do these last? I have made some granola with dates in the past and it did not turn out well. On the first day, the Granola was delicious! But after that the dates fermented and it was terrible! I’ve kept them at room temperature for up to 5 days without noticing any change in flavours, Patricia. You can also store them in the fridge to make them last longer. Hey Amanda, Ilove so many bar recipe of yours, they don’t contain wacky ingredients and ‘vegan’ spread which is amazing. My favourite is the banana and strawberry bars and grain free banana bread bars. They taste amazing. These are great gluten free snacks. I couldn’t ask for a better recipe, Amanda! Thanks for the simple recipe! 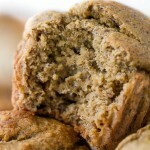 Made these with a couple of substitutions – hemp powder for ground flaxseed and maple syrup for honey. Came out really nice and chewy. Seems ideal for taking out with me as a treat when cycling. Fantastic recipe!! I added chopped walnuts and cacao nibs with the dates. They are delicious- I can’t wait to try more of your recipes. Thanks! !